Go home and tell your friends you have been fighting the wrong people. ‘At least 7,000 Ukrainian troops are believed to be surrounded near the village of Debaltsevo in Donbass. While addressing them and stating this in front of the camera he is enduring serious sniper fire. 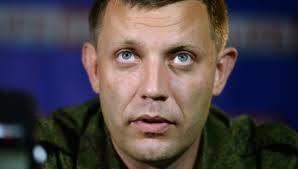 ‘Meanwhile, Kiev authorities have reportedly empowered army commanders to gun down deserters on the spot. Check Zakharchenko, he has the reputation and the attitude to show mercy. This must be notified. For Christian history shows this is very rare. And the capability to show heart, whilst his companions die on the battle field. Het Christelijke ideaal lijkt alleen in het oostelijke Oosters-Orthodoxe deel van de Christelijke wereld bewaarheid te worden. Het Russisch sprekende.